The Shreveport-Bossier Convention and Tourist Bureau (SBCTB) will host a three-day media familiarization tour entitled "Eat Here: A Food Lover&apos;s Tour of Shreveport-Bossier," Sept. 22-25, 2016. SBCTB is currently seeking applications from qualified journalists to fill five available seats for this popular annual media tour. For accepted journalists, travel costs will be paid as well as accommodation and meal costs. To apply for this tour, contact Chris Jay, public relations and social media manager, at cjay@sbctb.org or (318) 429-0658. 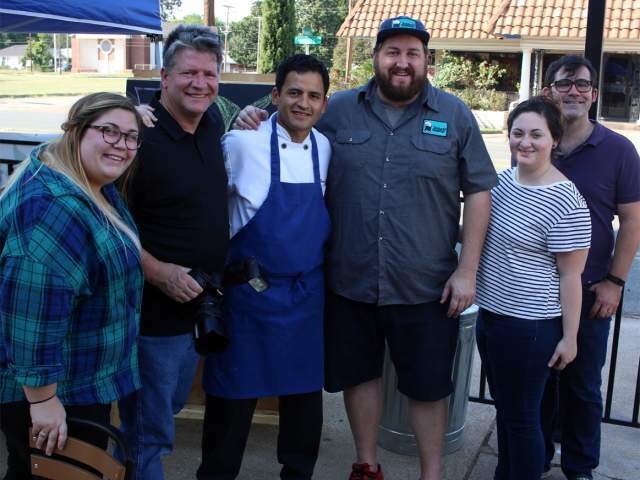 "Eat Here: A Food Lover&apos;s Tour of Shreveport-Bossier" will explore Shreveport-Bossier&apos;s diverse culinary landscape by spotlighting historic and celebrated local eateries as well as exciting new restaurants, craft breweries, farms and more. Along the way, participating journalists will have the opportunity to meet and spend time with some of the most fascinating personalities in the local food scene. This tour will focus on authentic, off-the-beaten-path culinary experiences. This tour will not focus on high-end fine dining experiences. Please note that SBCTB is unable to invite spouses or other traveling companions due to the limited number of seats available on the tour. Priority will be given to applicants who regularly create content related to food and drink. To get an idea of the kinds of places that will be featured on this familiarization tour, check out Eat Here: A Food Lover&apos;s Guide to Shreveport-Bossier. Chris Jay, Public Relations and Social Media Manager, is a lifelong resident of the Shreveport-Bossier region. A graduate of Centenary College of Louisiana, he has worked in public relations since 2002. Chris writes and manages the official destination blog of the Shreveport-Bossier Convention and Tourist Bureau, www.20x49.com. He was named the Public Relations Association of Louisiana Communicator of the Year in 2012 and received the Journalist's Choice Award at Travel Media Showcase in 2011 and 2012.